There are hundreds if not thousands of self-published novels being released every week. Undoubtedly, some are very good. Unfortunately, many are not. And you’re going to start with the assumption that your book is one of the ones that is not. With all of the small publishing houses out there these days — some with very good reputations — there’s bound to be one that will accept your book. And if you can’t find even one, then perhaps your book is not as good as you imagine it to be, and you shouldn’t be publishing it, either. Anyway, without rehashing my previous post, let’s discuss when it is fine to self-publish. You’re writing for family and friends. If you have no desire to ever be accepted as an author, no dream of making that your career, and only want to share your writing with friends, then none of this advice matters. This blog is for those who want to break into the publishing industry, after all! You’re writing for a small specialized audience. For instance, if you’re a member of the Cowsills Fan Club and you’ve completed your fan fiction novel The Cowsills And The Mystery Of The Secret Cove. No problem there. Even if you want to one day be accepted by one of the major publishers for your real work, this is just a fun side project. You publish art books, comics or graphic novels. No problem here. Even though the graphic novels and comics are technically “fiction,” usually what you are publishing is artwork that has already been ‘published’ on the web or in a newspaper, and your fans want the collection. You already have a following. Some well known authors are now self-publishing their new books. This is a strategic decision. As one author pointed out, he may only sell half of what he used to this way (since his self-published books are not being carried in the stores) but he’s keeping a larger percentage of the money so he personally comes out ahead. It’s your choice here — I don’t see how this will help grow your audience — but hey, if you’re at that stage of your career, you’re probably not reading this blog anyway. What I’m really cautioning against is self-publishing your fiction if you are a starting author. Agents and editors pay attention to these things (as do conventions and writing conferences that won’t invite you because of it). Working your way up the chain to the bigger publishers requires you being taken seriously at every step, and putting out your own book, no matter how good it is, doesn’t help you there. Anyone can publish a book these days (and with scam companies like Publish America, they can be fooled into thinking it’s not self-published, but that’s another topic). Sometimes people ask me, “How much did it cost you to publish your books?” This is somewhat insulting. I always like to point out that I haven’t paid a cent, and in fact, I get a nice royalty check every six months. If you are a creative person (artist, musician, writer), the money should only travel in one direction. And now, two final disclaimers. First, remember that there are exceptions always. Some authors have set up their own publishing companies. They hire publicists and artists, recruit other writers, and have editors review their own works before they publish. And some of these are very successful and have good reputations. As I said, these are the exceptions. Don’t think that just because they did that you can too. Second, keep in mind that the publishing industry is changing daily. If what you do works, then it works. All I’m trying to say is that you need to know what you’re getting into and what the odds are before you jump into the deep end of the pool. Thanks for this, Michael. Great points! To add my own experience, rather than being insulted by the question How much did you pay? I’m proud of the thousands I’ve spent on publishing my nonfiction books, mainly on editors and readers. When writers publish, we take on a different role, learning about the whole process, some of which costs money. In addition to becoming increasingly proud of my creative product, I’m also gaining an education about the industry that has given me so much information and pleasure. 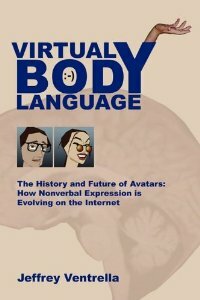 Scanning the article, I became intrigued by your nonfiction book about expressing emotion on the web and clicked the image of the cover, only to be led to another image of the cover! This is low hanging fruit – just go into the WordPress editor and link to your Amazon page so I could have been looking at your Amazon page when I did the click.